On Monday Year 1 visited the Chocolate Story in York. The trip linked with the schools topic of Chocolate. They learnt about the history of chocolate, it’s close link with York and how to make it. 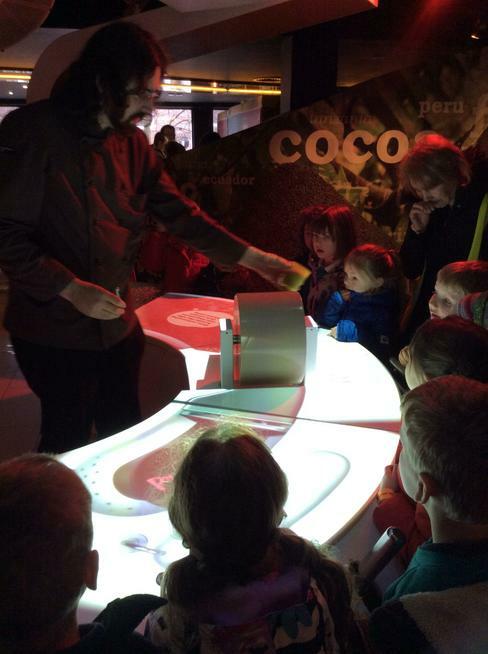 The children took part in workshops where they made ‘chocolate wallpaper’ as well as a chocolate lollipops, and took part in York’s Chocolate Story Tour. They got to taste lots of different types of chocolate.